Powered by special infrared bulb heaters, our solarium is a relaxing, therapeutic experience. 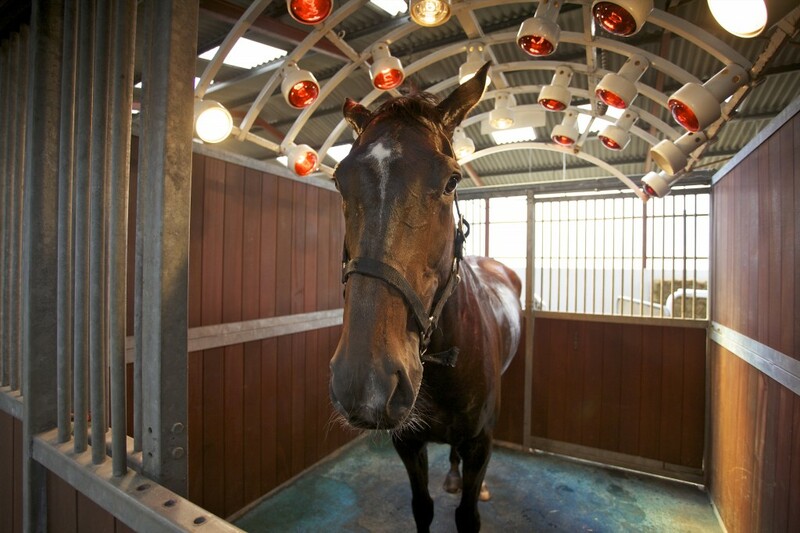 It offers horses a wealth of restorative benefits, such as improving circulation and relaxing tense muscles. With a similar effect as the sun, but without the harmful UV rays, our solarium provides your horse with the vitamin D they need to absorb calcium, and maintain healthy joints and bones. It’s a natural complement to the post-injury healing process.